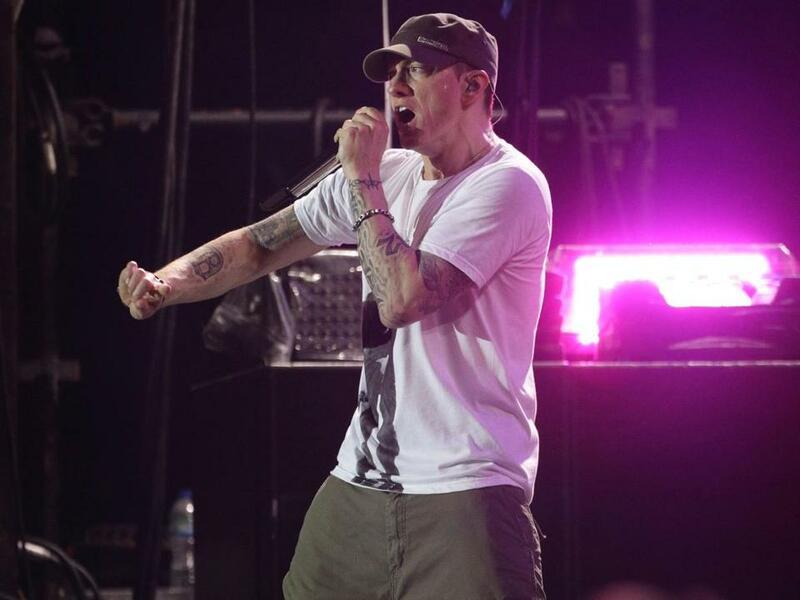 Eminem has said that “The Marshall Mathers LP 2,” out Tuesday, is a “revisitation” of its game-changing predecessor. But it is no mere rehash. If anything, the sequel is more intense than the original, as the Detroit rapper explodes like an M-80, radiating anger, humor, and vulnerability often within the space of a single couplet. Coproducers Dr. Dre and Rick Rubin work their respective brands of magic, crafting a sonic landscape wherein Eminem can hilariously yet masterfully rap like Yoda while reworking a Zombies classic one minute (“Rhyme or Reason”) and immerse himself into a sinister revenge fantasy (the epic continuation of the “Stan” story, “Bad Guy”) the next. He turns his gaze both inward at his own complicated, and sometimes contradictory, emotions — about fame, family, his legacy — and outward at a world that still isn’t sure how exactly to perceive such a tangled personality, and who still dips into problematic lyrical waters when it comes to women and the use of gay slurs. A few friends, including Rihanna, Nate Ruess of Fun., and Kendrick Lamar pop by to lend a hand.